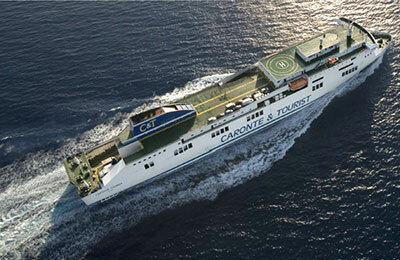 You can use AFerry to book a Caronte & Tourist crossing to Sicily from Italy and to Italy from Sicily. Caronte & Tourist has been operating for over 40 years, and has built a business based on efficiency and speed of services provided. C&T has a strong reputation in Southern Italy and Sicily. 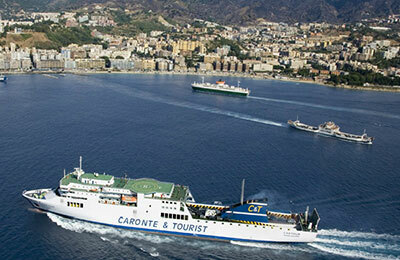 You can use AFerry to book Caronte & Tourist ferries from Messina in Sicily to the ports of Salerno and Villa San Giovanni in mainland Italy. See below for the latest Caronte & Tourist prices and sailing times. 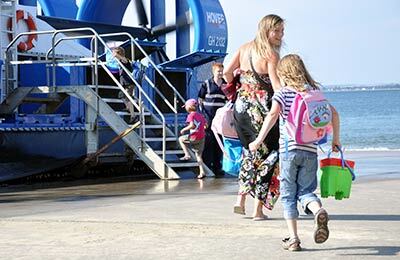 Click on your route for a detailed Caronte & Tourist timetable including arrival and departure times. Caronte & Tourist ships have a reputation for having clean communal areas and onboard accommodation. Facilities on board include a bar selling hot and cold beverages, and a restaurant serving snacks and authentic Italian meals. WiFi is available throughout the ship. The Strait of Messina is a beautiful passage and you will get spectacular views during your time on board with Caronte & Tourist. Make sure you spend some time out on deck to catch a glimpse of the diverse marine life while taking in spectacular views of the coasts of both Italy and Sicily. Whether you use the Caronte & Tourist Messina Salerno ferry route, the Caronte & Tourist Messina Villa San Giovanni ferry service, or any other C&T ferry, you are bound to have a relaxing and enjoyable journey. How long before departure should I arrive for Caronte & Tourist? Check-in is at least 2 hours prior to departure for passengers with vehicles and 1 hour before departure for foot passengers.